When it comes to working in my shop I’m always thinking and always improving. Continuous improvement is the best hedge against future risk. That’s why I enjoy Rockers catalog to help me solve problems. There are a ton of ideas in there, that challenge me to be more effective and streamlined. 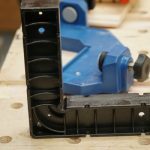 I recently got my hands on the Rockler Clamp-It Corner Clamping Jig and Clamp-It Assembly Squares and started using them in the shop right away. 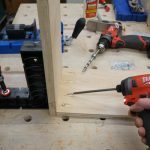 The Corner Clamping Jig is that third-hand we all wish for. 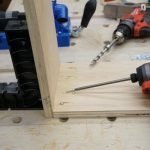 It eliminates the struggling to line up casework parts while installing fasteners. 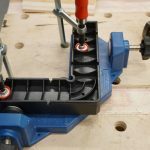 at The Corner Clamping Jig basically holds your parts together at a right angle for fastening, and can accommodate material from ¼ to 1 inch thick. 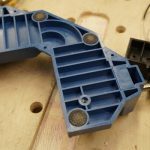 It’s designed to be used in sets of four, the jigs are supportive enough to hold an entire case assembly as it is being assembled. 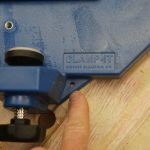 The clamps have soft pads to prevent workpiece marring. 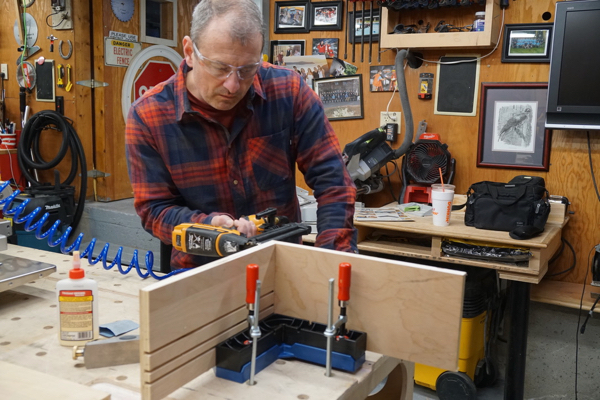 Mounting holes in the jig allow for attachment to your work surface. 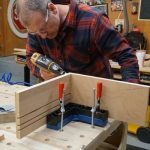 The Corner Clamping Jig has a wide base which sits flat on the workbench but either needs to be fastened or clamped down. 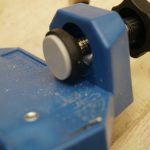 The base has mounting holes allow for attachment to work tables which can be useful for repetitive assembly jigs. 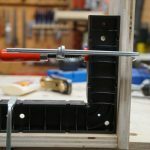 There are two 1/4″-20 threaded inserts to insert the Rockler Clamp-It Assembly Squares and secure them in place – I lost those in the first few days, there on the floor somewhere. The Clamp-It Assembly Square is a 90-degree square that helps keep assemblies square. 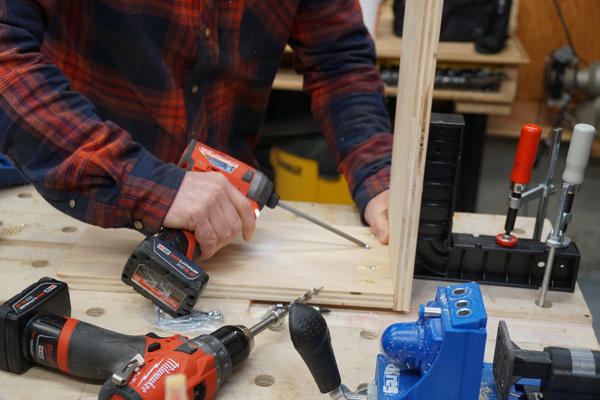 We build a lot of custom bookcases and these two jigs are going to make assembling plywood cabinets so much easier. The Assembly square is a high impact, rigid polycarbonate and measures 8″ X 8″ X 1 – 1/2″. 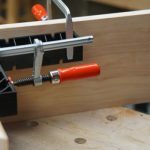 Drawer Assembly: Clamp-It is designed for use on either the inside or outside of a corner, making it ideal for assembling drawers with lipped fronts. 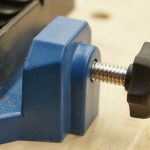 Deck Rails: Use Clamp-It to hold deck balusters at a perfect 90° angle while fastening. 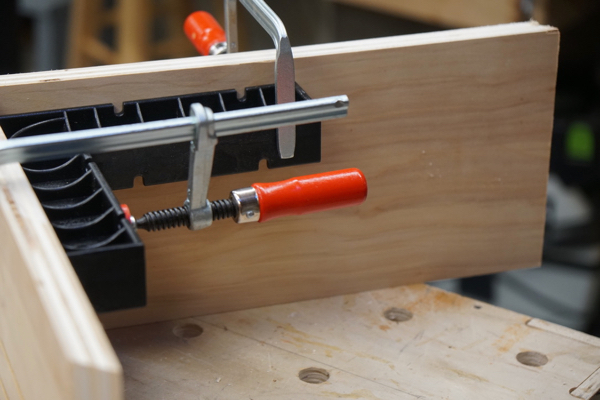 Bench Jigs: Clamp-It can be secured to any work surface to create a simple 90° assembly. 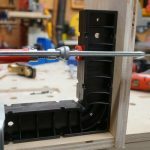 I used the Rockler Clamp-It Corner Clamping Jig and Clamp-It Assembly Square in a few different configurations, thats the beauty of this jig set. 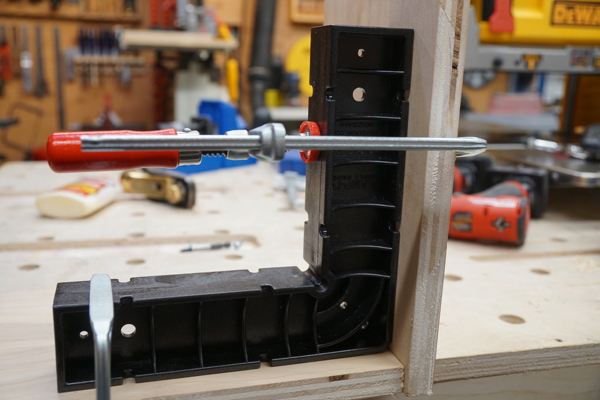 It worked great at keeping parts square when installing Kreg screws, and equally helpful when nailing mitered Birch plywood joint. 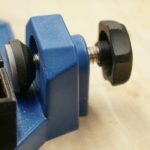 The knobs are easy to spin and the rubber at the end of the knob-clamp grips well and is non-marring. After using this jig I came to the conclusion that you probably will want a pair of them, if not two pair. When it comes to working in my shop I’m always thinking and always improving. Continuous improvement is the best hedge against future risk. 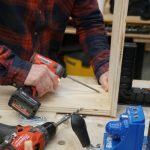 Rockler helps me do that! 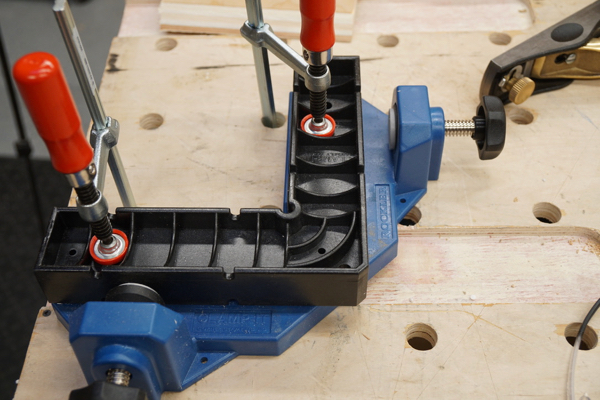 The Clamp-It Assembly Square sells as a single tool for $29.99 and a pair for $42.98. The Assembly Square sells for $9.99 each.